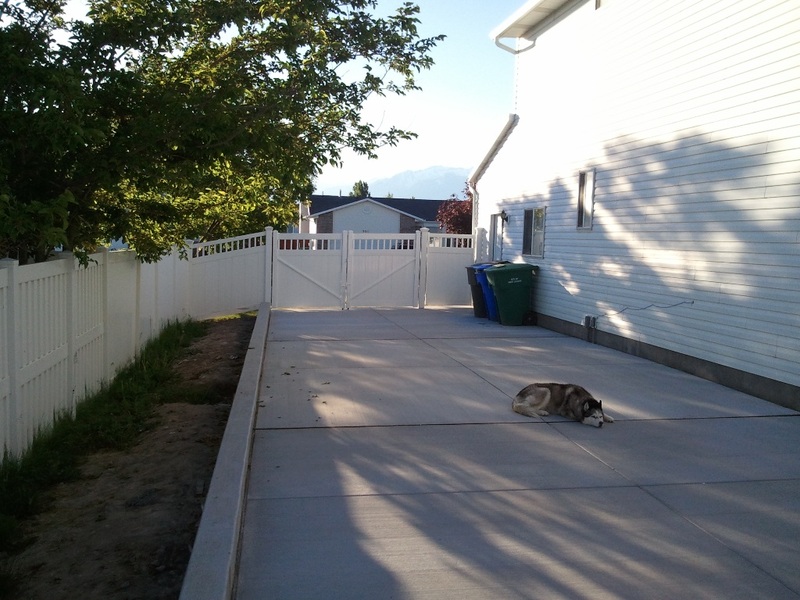 Now that the ramp area to the shop has been poured, we needed to fill the gaping hole in our fence so that the poor dog that was chained up could have her domain back. 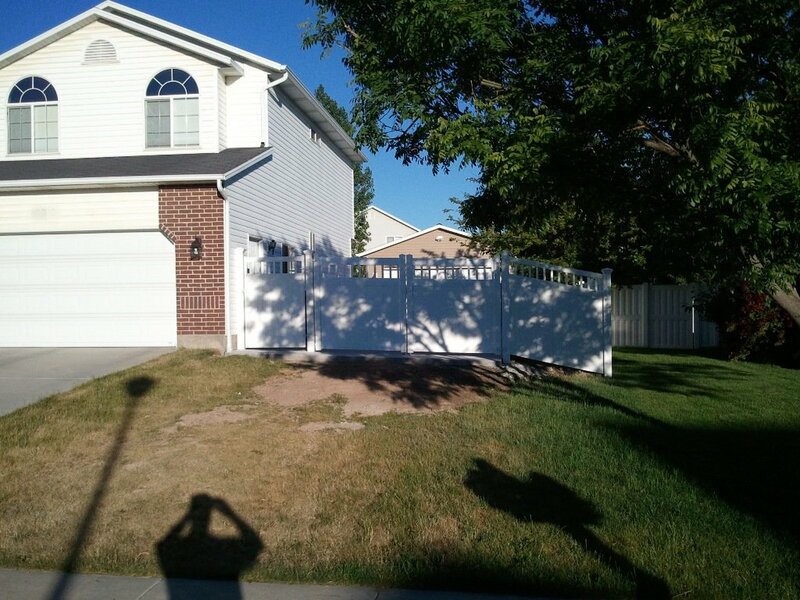 I had a local fence shop make me up a gate that I installed after work. It turned out OK. 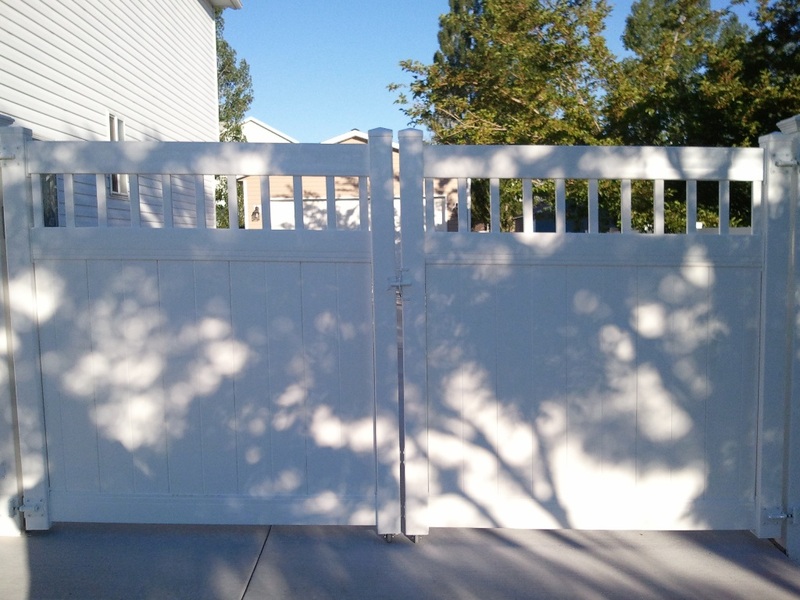 I also had to re-rig the man gate that was part of the old fence so that it would operate smoother. In the process, I lowered it a bit and it looks and works great now. Now when the time comes, we can get the plane out of the shop and to the airport with little trouble. Once we recover from the expense of getting this complete, we will eventually get a driveway to the street put in. The other advantage of the new drive is that when my kids start driving, they can park their inevitable eyesore of cars off the street and behind a gate. I can’t stand cars parked on the street. 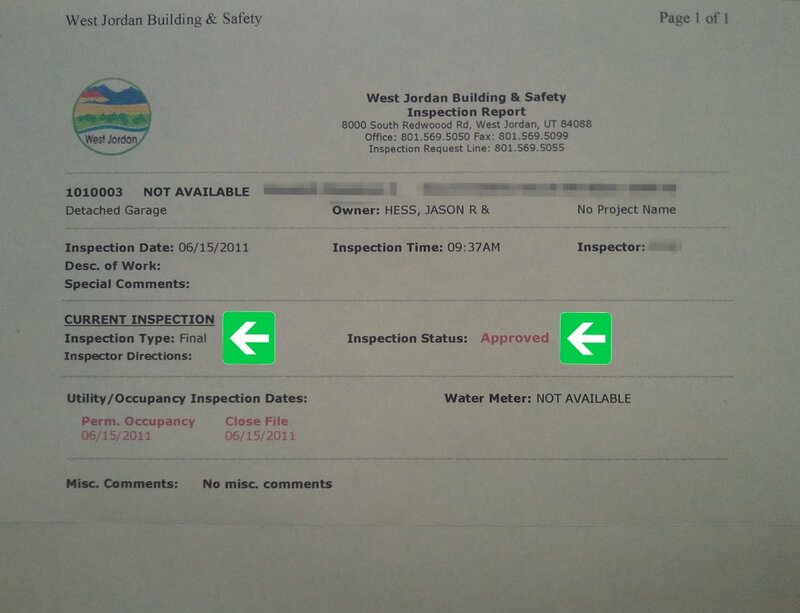 It does not look good and invites vandalism and theft. Overall, the gate operates very smoothly and looks good. It was painful to drill the hole in the slab for the drop bar…but it had to be done. Kiowa was thrilled this morning to be let out and run free again. She has not been able to explore the new drive and watched all the excitement from a chained up position. She was back to her happy self now that she has free roam of the land. The last thing the shop needs before I can get the final inspection is at minimum a 3′ x 3′ pad at the man entry door. 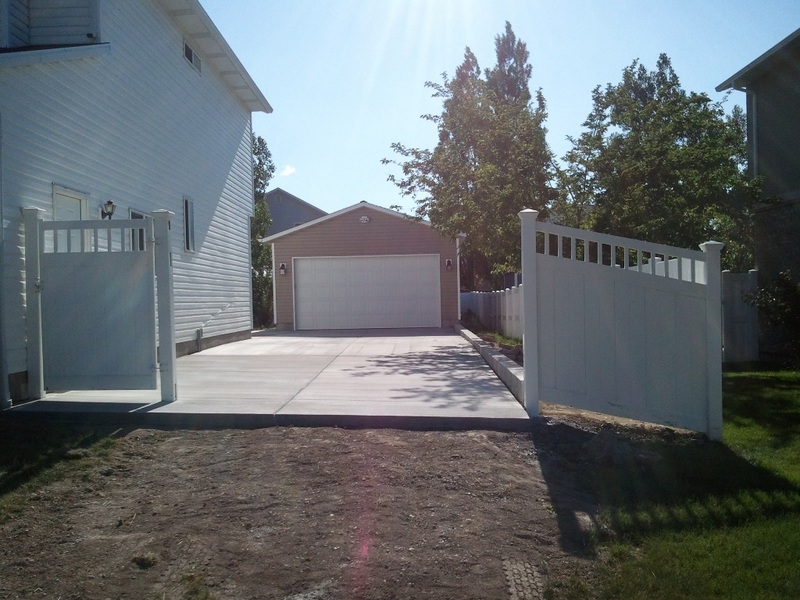 I knew I wanted to have a nice transition from the patio to the shop and eventually I would need a driveway from the street to the shop…so I decided to to at least from the back corner of the house to the shop with a sidewalk to the man door. I had planned to have this complete a long time ago, but the weather made other plans. With the weather finally cooperating, my concrete guy showed up last Saturday and formed up the sidewalk and set my drain box and pipe. They showed up this morning to pour the pad to the back corner. When they were doing the work Saturday, I asked for a bid to get from the back corner of the house to the front corner. He came in much lower than I had expected, so I said….”let’s do it!” So after the pour today, they are going to form up and get ready for the rest of the drive to the front of the house on Friday. That will leave from the front corner of the house to the street. I can also get my gate done and in. We will be waiting a little to do to the street to figure out exactly what we want to do, and save up some money as well. The other bonus is that we can now set up the basket ball hoop that my parents gave the kids for Christmas. They cannot wait, and neither can my wife. Next we can get the sprinklers redone and get the backyard as good as new. 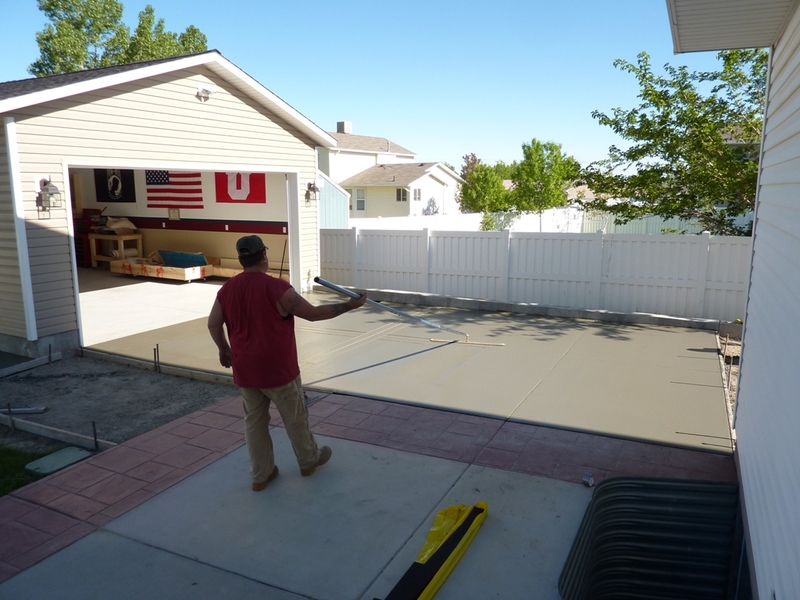 If you need a crete guy in the SLC area…these guys to GREAT work. 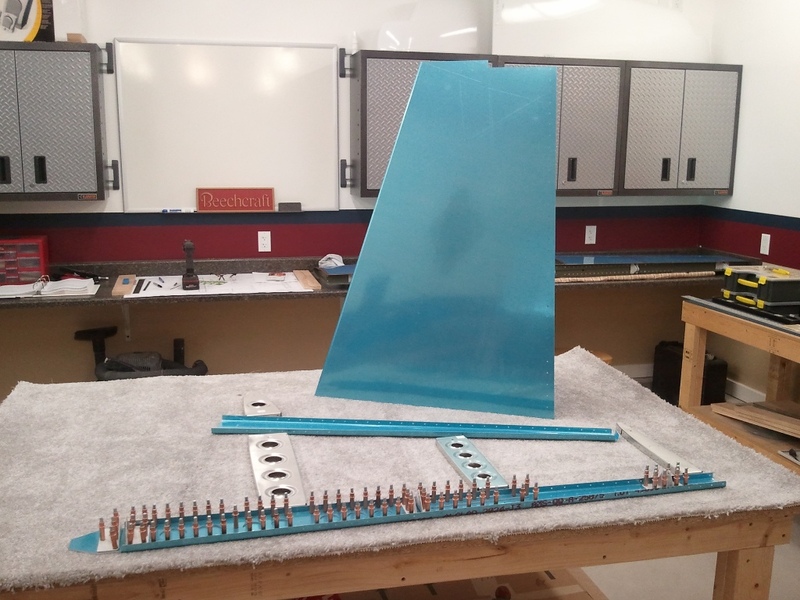 Started the Vertical Stabilizer today. Nothing real special to report. Matched drilled the stiffener to the aft spar, added the hinge brackets, and cleco’d the skeleton together to show the wife. Not sure why Van’s does not have you start with the VS. Seems to me, fewer parts, more consistent hole sizes to drill and would give a good intro before tackling the HS. I undid the clecoes on the VS skeleton and need to flute the ribs. I will then debur all the parts and then reassemble to match drill the skin.